DJ Dorian Deaver brings classic style and vast musical knowledge to your event. Dorian’s ability to maneuver through every genre of music is his gift to his clients. He is able to flawlessly highlight the romance and joy in any wedding celebration. Each event brings the ideal blend of classic, contemporary, fun, and romance to seamlessly blend your very own soundtrack. Every wedding is uniquely special and each music selection reflects your taste to create an unforgettable night. Work with Dorian to select all your favorite music and artists for a playlist that matches your style. Get in the groove and make your wedding the fun, joyous celebration you always dreamed of with DJ Dorian Deaver. ​Bring your guests to their feet with a unique entertainment experience that’s as special as your relationship. Dorian Deaver, former University of Michigan gymnast, graduated with a Bachelor of Science from the University of Michigan School of Education. He is the founder of Dazz Dance Productions, an entertainment company dedicated to high quality music and dance. He has personally trained and launched the careers of several of Michigan’s top mobile and club DJ’s. 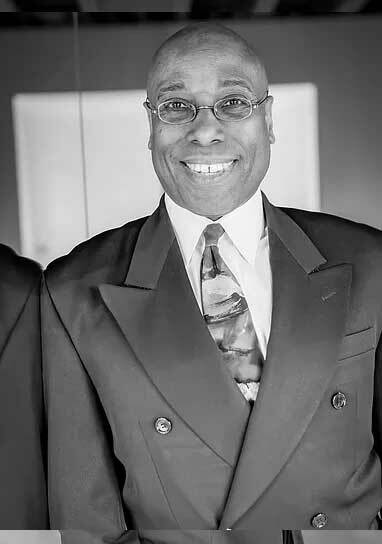 Dorian has over 40 years of experience as a professional DJ, and ballroom dance coach. He has even created the “Dorian Bridal Dance”, to help newlyweds look great at their wedding reception. In 1996 he received the Imperial Society of Teachers of Dancing (ISTD) Associate Degree.